One of my husband’s stand-by drinks is a Vodka Redbull, aka Vodka and Redbull, Vod-Bomb, Raging Bull, Vod Bull, etc. He says he personally likes it because it’s not too sweet, but many choose it because it’s high in caffeine. Party all night! You may have heard controversy as to whether this drink may be dangerous because of that, especially if too much is consumed. That’s not for me to determine here, but I personally don’t love the taste. Young Living has a new sparkling oil-infused beverage that “delivers a splash of hydrating energy with a unique flavor experience” that I think is a good alternative to Red Bull. I hate to even compare the two, since I really do love Ningxia Zyng, but it is the closest product I’m aware of to give you an idea of taste. 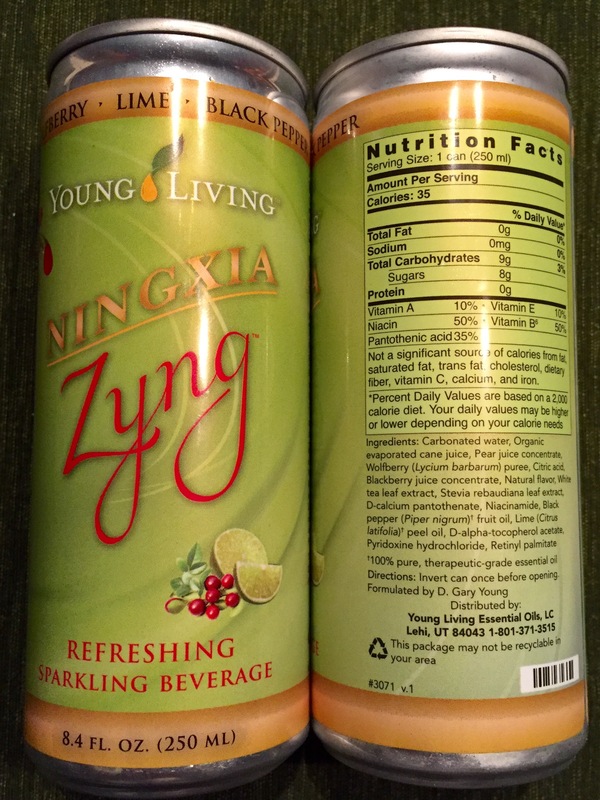 Ningxia Zyng has “a proprietary blend of pure Black Pepper and Lime essential oils, wolfberry purée, and white tea extract.” It has no artificial sweeteners, colors, or preservatives, contains 35mg of naturally occurring caffeine, and is only 35 calories! You can compare the ingredient list to Red Bull or Rock Star and see it is a completely different beverage that you’ll probably find to be a healthier alternative. I like it right out of the can when I want something carbonated and refreshing. I sometimes use it as a mixer with juice over ice, so it naturally follows that it would make a good mixer in an essential cocktail! 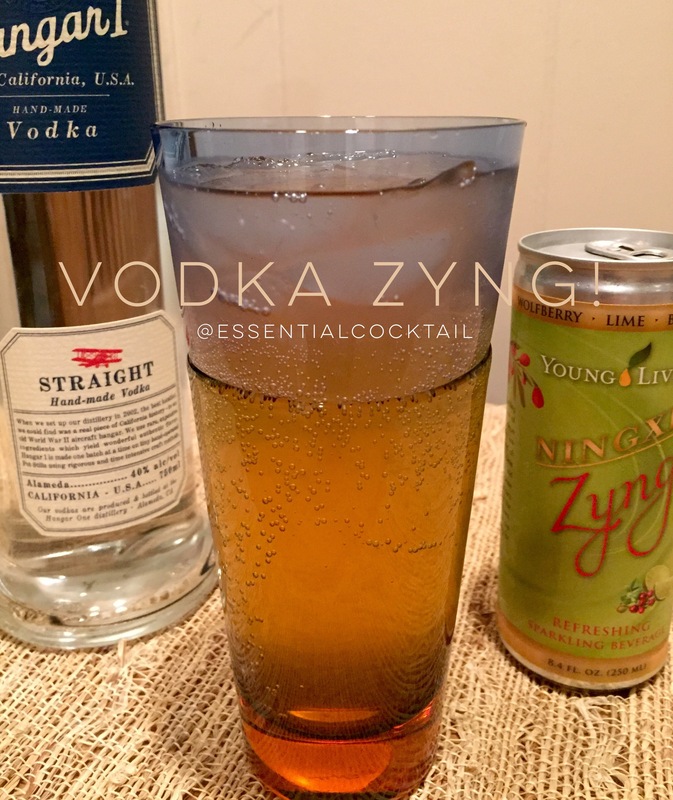 Tonight I just mixed 2 oz vodka over ice with an 8.4 ounce can of Ningxia Zyng. Simple as that. It can’t get any simpler. I’ll still give you a recipe card though! Go ahead and try it; see what you think. 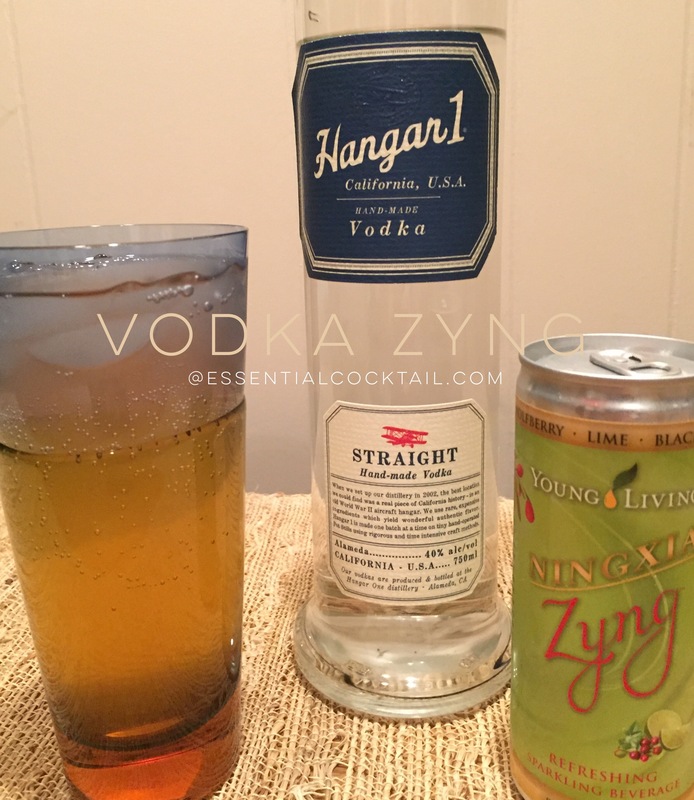 If you’re a Vodka Redbull fan, I think you just may become a Zyng convert. If you like your beverages fruitier, try adding a splash of orange, cranberry or Ningxia Red juice to it. Cheers! Fill glass with ice. Add vodka and Zyng and stir. That’s it! Alternative: Add a splash of fruit juice if you like your drinks a little sweeter or fruitier. If you’d like to purchase Ningxia Zyng you will need to either set up a Retail or Wholesale account with Young Living. If you’ve already done that, you are all set to go! If not, check out my page here, then feel free to message me if you have any questions.